If your significant other is an avid watch collector, it is likely he will be no stranger to the historical Omega Speedmaster watches. Launched in 1957, the original Omega Speedmaster has been celebrated with the arrival of the Speedmaster ’57 – paying homage to the Speedmaster watch’s strong association with Lunar space missions but completely equipped with new innovations to make it a truly distinctive watch for any watch enthusiast. Consider your options: gold, white gold, silver, platinum, stainless steel, leather bands, etc. Each of these options has its own style and makes its own statement. Take the time to choose the most appropriate for the recipient. Select a basic watch style. Types of general mechanical watches include the types of wind-up, self-winding and quartz, which are powered by batteries. Look for additional features such as a built-in calendar, an appointment alarm, a heart monitor, etc. Have fun customizing the watch lifestyle specific recipient. For Dad’s who like their timepiece to be equipped with a little extra technical precision, look no further than the TAG Heuer Carrera MikropendulumS. Launched at Baselworld 2013, the MikropendulumS offers leading accuracy and is the first ever magnetic double tourbillon – ideal for watch enthusiasts who always favour the latest innovations. Patek Philippe’s Nautilus has long been available in rose gold with a complementing leather strap, but at Baselworld the Swiss luxury watch manufacturer upped the ante by showcasing the Nautilus 5980 with a solid rose gold bracelet – this elegant timepiece is sure to be on every Dad’s wish list. Whether Dad’s a fan of motor racing or simply loves a historic timepiece, he is sure to love the new Rolex Oyster Perpetual Cosmograph Daytona. Like the Omega Speedmaster ’57, the new Cosmograph Daytona is also a celebration watch, marking 50 years since the first Daytona was unveiled by Rolex – a watch that was named after the legendary Daytona race track and has had a long-standing association with the world of motor racing. Choose a sports watch with basic features if you’re not buying it for a specific sport. These include alarm (s), water resistance, a timer or stopwatch function, an illuminator and the original band. Opt for more advanced features if you know they will be used by the wearer. It may be the altimeter, barometer, thermometer, compass and data-link features. 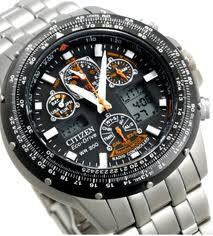 Choose sports watch, specifically if you know what sports the recipient enjoys. These include specialized watches for divers, runners, surfers, etc. Be sure the tape fits comfortably around the wrist of the person. It should be somewhat adjustable. Check the warranty policies and back so that the watch can be returned if another model is desired.